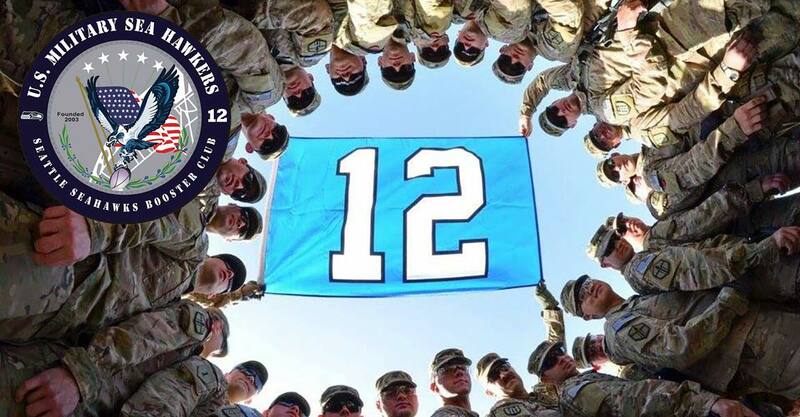 Charlie Company of the 67th Signal Battalion proudly displays their 12th Man flag at Azraq Air Base in Jordan. The last time the Seahawks actually lost a preseason game was in 2011 on the road against the Denver Broncos. You probably aren’t aware of it because preseason records really don’t mean much, but even though it is preseason I’m sure we’re all looking forward to the streak continuing. A lot of people are calling this a Super Bowl preview. Apart from wearing the same laundry come February, the only way this will be a preview of anything is if Roger Goodell makes a “player safety” decision that restricts the amount of minutes starters can be in the game. With the recent decision that players can’t spin the ball on the ground in celebration of a big play–that only seems like a logical next step, right? As excited as I was for football to start, preseason football didn’t seem quite so worthy of a full recap. Well, that and the fact DirecTV lost the signal for the NFL Network as soon as the game turned over to the Seahawks game for whatever reason. Which reminds me that you can help support the Military Sea Hawkers by mentioning Account #052113953 when you sign up for DirecTV service for the first time (probably not my best lead in for promoting that offer). I opted to provide the summary here. They’ll be here in the newsletter for preseason, but full-game recaps will start once the season is officially underway. After the first-team offense failed to get much done against the Chargers, Seahawks fans are going to be looking to see if the team can get off to a quick start while at the same time holding a Peyton Manning-led offense. But I wouldn’t for a moment expect that to have any prediction on how things will go come time for the regular season (or post season). One thing I was reminded of in the Chargers game is that, for starters, the level of play is closer to the Pro Bowl strategy of trying not to get hurt than anything we would expect from the regular season. One thing I did enjoy was seeing Tarvaris Jackson sling it around the field, particularly his two deep passes to Stephen Williams. It was clear that he didn’t belong on the same field with the Chargers’ third stringers. He picked them apart on his way to a perfect quarterback rating for the day. It was also great to see some of the young talent on defense. It’s unfortunate that there are some talented players Pete Carroll will have to make the decision to cut. That’s not exactly a bad problem to have since it speaks to the amount of depth they’ve been able to find this offseason. Finally, another reminder that we have four free tickets to give away to the preseason game against the Raiders. Just follow the link to the right to find out how you might be able to score a pair. Just like the tough decisions on the coach faces with trimming the 53-man roster, it’s going to be tough to pick only a couple folks for tickets. I’m really hoping we get some additional donations! Also, if you have some or know of someone looking to sell tickets to this Saturday’s game, please post in the forum on the website or on the check in page. I’ve had quite a few inquiries from folks looking to buy tickets. For the Sailors aboard ship, you’ll get your first look at the Seahawks this season! Not only will the game be on DTS Sports, but it will air for all our overseas service members on AFN Sports. Though it’s going to make for a really late night or really early morning for anyone serving anywhere in Europe or Africa. You can find the Seahawks game against the Broncos live on AFN Sports or DTS Sports at 1930 PST/0230 GMT/0700 AFG. Episode two of the Sea Hawkers Podcast is scheduled to come out today and I think it is similar in its improvement as the Star Wars movies (you pick the trilogy). Adam and Brandan recap the Seahawks game against the Chargers, look at the upcoming game against the Broncos, make fun of Jim Harbaugh, talk about one of the most interesting kickers in preseason, and finish with our picks of who is better at life than Skip Bayless. The podcast is now up on iTunes and available through FeedBurner. We hope you enjoy it!